Get Your Twirl On - Come Twirl Away! Hope you've been watching class and learning how to get your twirl on! Thought I'd share with you one of the tricks I do. Sometimes I don't have a specific project to complete but my fingers just want to twirl, twirl, twirl away! 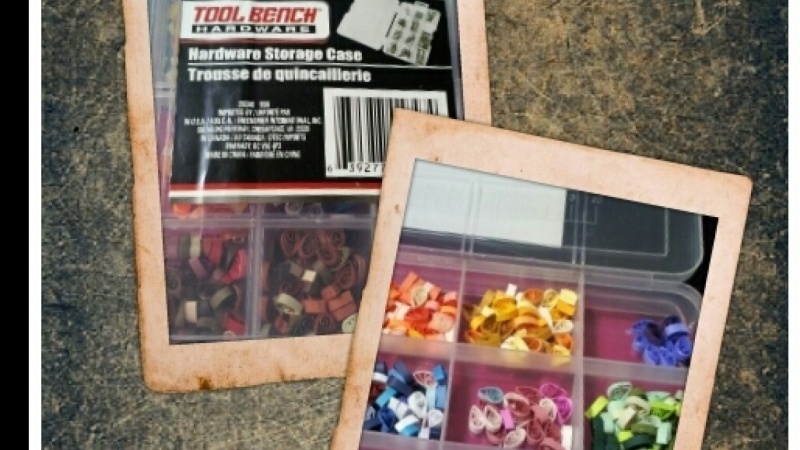 I picked up a compartment type plastic box at a dollar store. Then I twirl and make teardrop shapes. Why teardrops? Because it depends on the humidity whether the loose circle centers will stay tight. Most of the shapes I use are teardrops and marquise. And the centers of teardrops seem to hold their shape and can quickly be changed to a marquise. So how's it coming along? Any questions?? ?